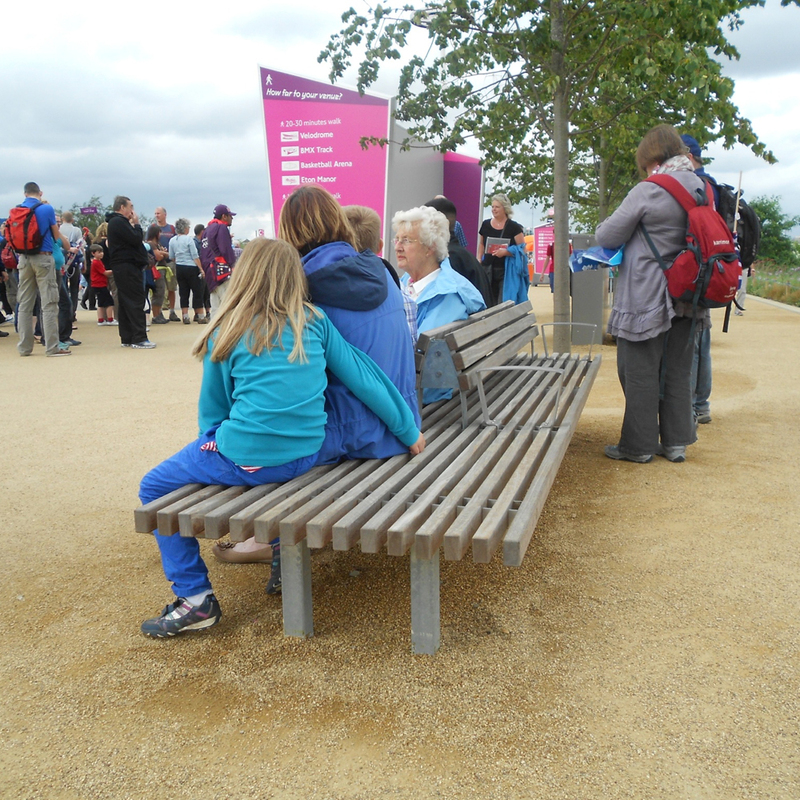 The Long&Lean Benches provide flat seats made of extremely durable FSC® hardwood. 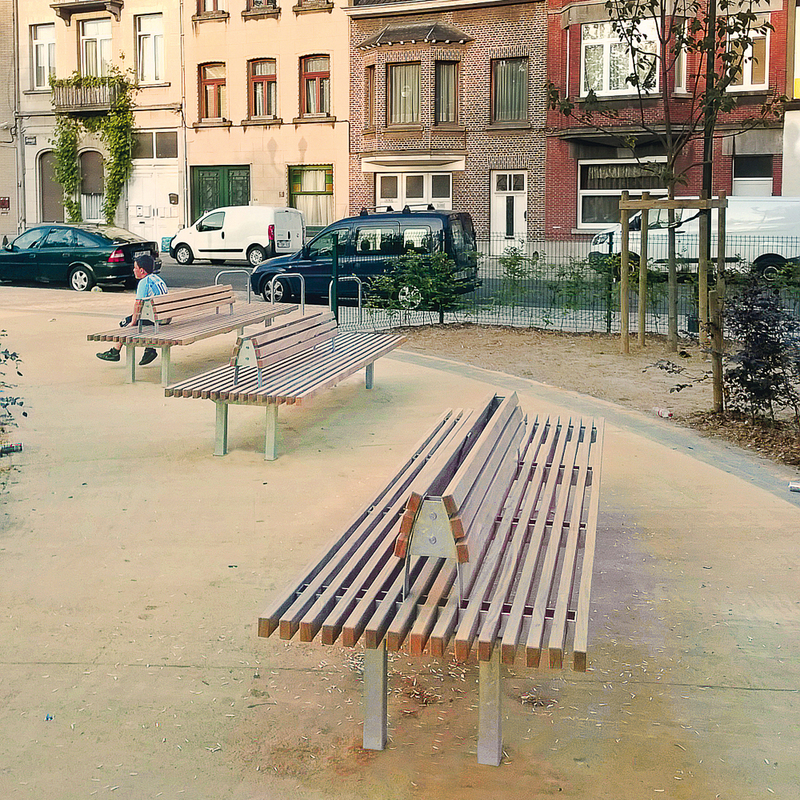 The benches can be linked to form long, linear, architectural seating areas. 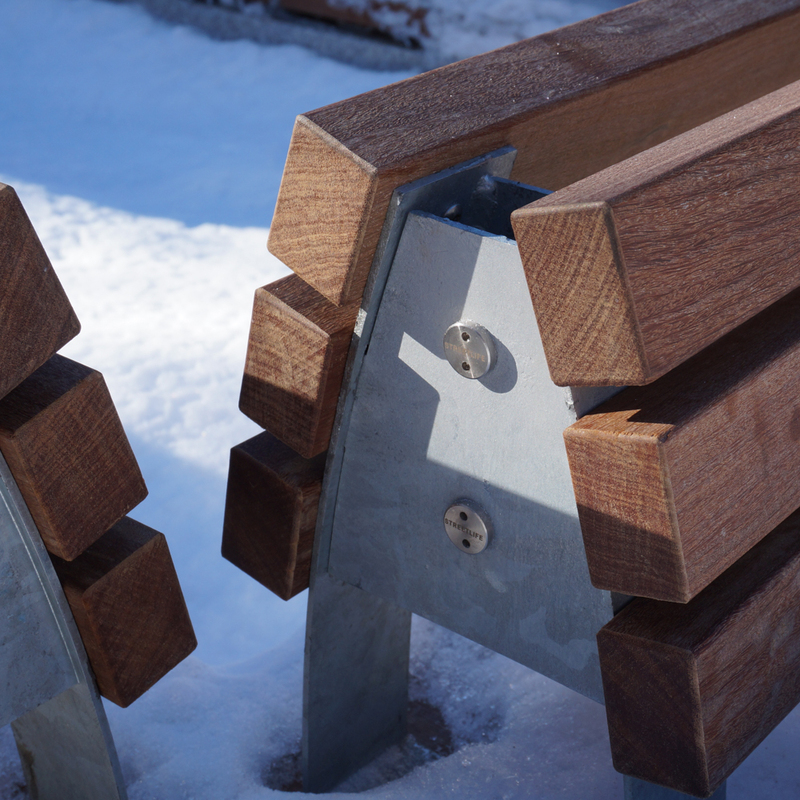 Various lengths of backrests are available and are attached separately within the stainless steel Streetlock® comb system. 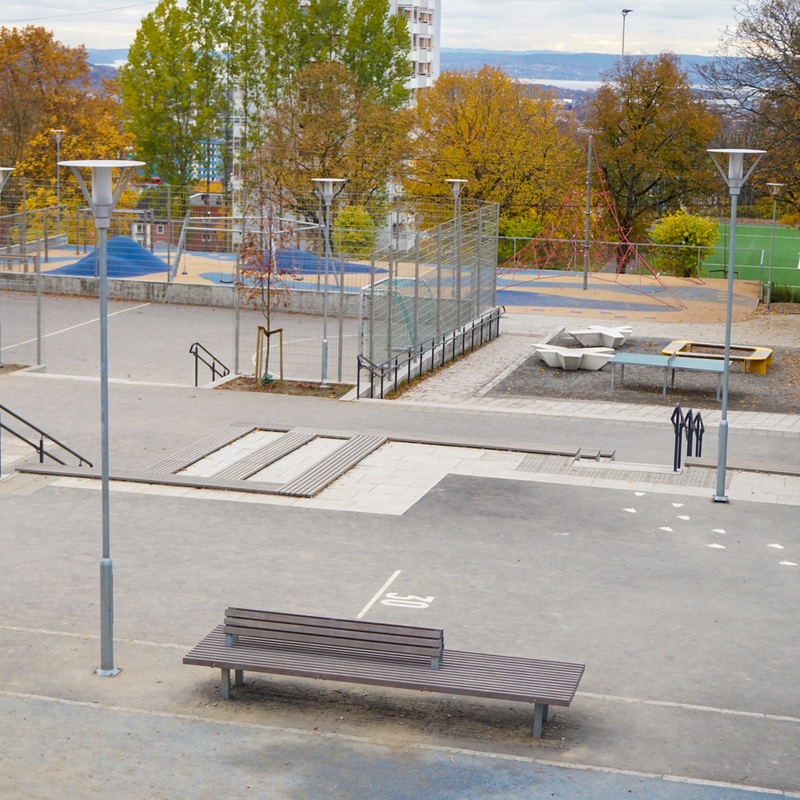 As a result of the Streetlife Streetlock® the slats can be individually removed, replaced and are reversible so they can be used on both sides. Available in standard lengths of ca.234 or 323 cm | 92" or 127"
Standard seating depths are ca.65 (11 slats) or 89 cm (15 slats) | 26" or 35"